You are currently browsing the tag archive for the ‘using milk to shine leaves’ tag. During my route of taking care of plants at offices and homes around Albuquerque, people ask me all sorts of things about plants. 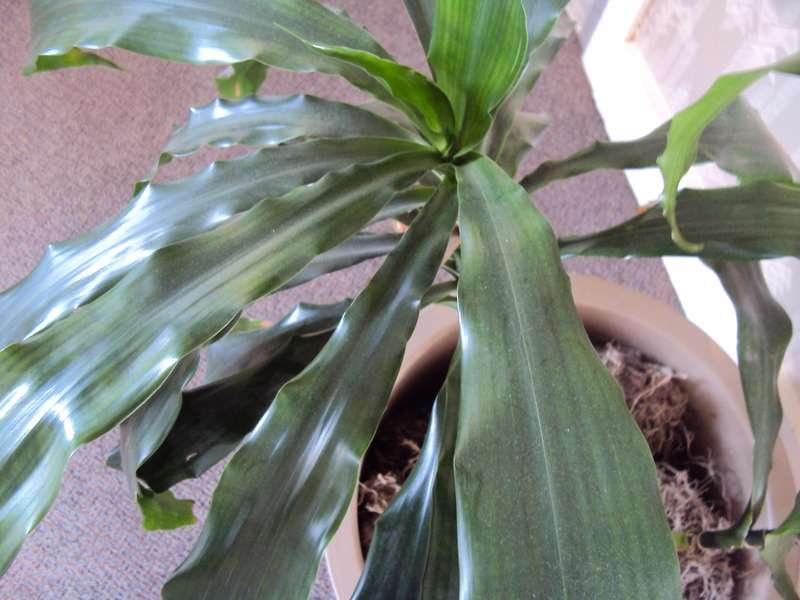 One question I get frequently is about how to shine houseplant leaves. People want to know if it’s ok to use leaf shine products, which usually come in a spray. “Noooooooooooo!” I scream as I hear the question. No, not really, but in my head I’m asking why, why would anyone use that crap, why? There are so many other ways, healthier ways to shine leaves. To Use a Leaf Shine Product or Not to Use a Leaf Shine Product? There is a ton of conflicting information out there about whether or not leaf shine products are good for your plants. Some people say they clog the pores of the leaves. Other people say it doesn’t hurt them at all. Still others are so entranced by the shine that they don’t care if it’s good or bad for the plant. Spotty and gross. That’s what leaf shine products eventually do to plants. Normally, I wouldn’t care because it’s not one of the plants they pay me to maintenance. But this is a really small office and the girls there haven’t been caring for it, so I just took over the care. 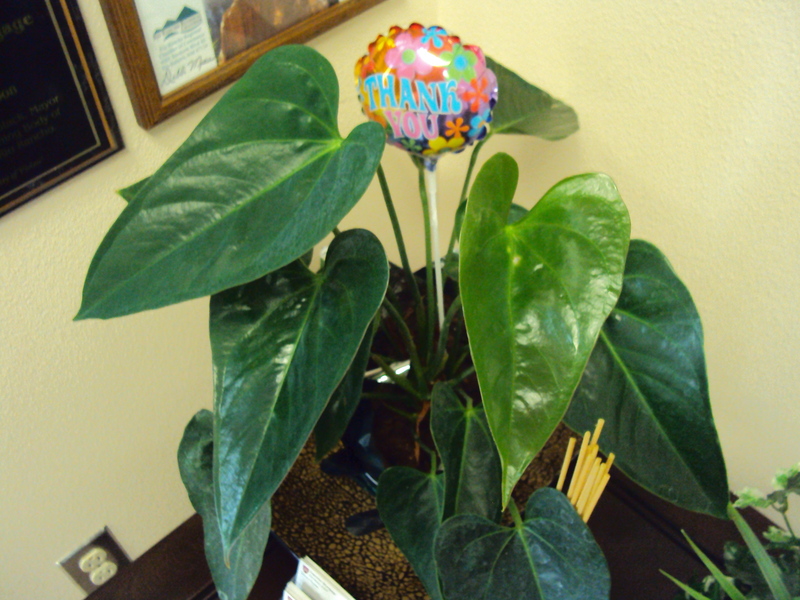 I like Anthuriums and would like to see this one bloom again – it’s got bubble-gum colored blossoms. This is after I used a damp cloth with a little dish soap. 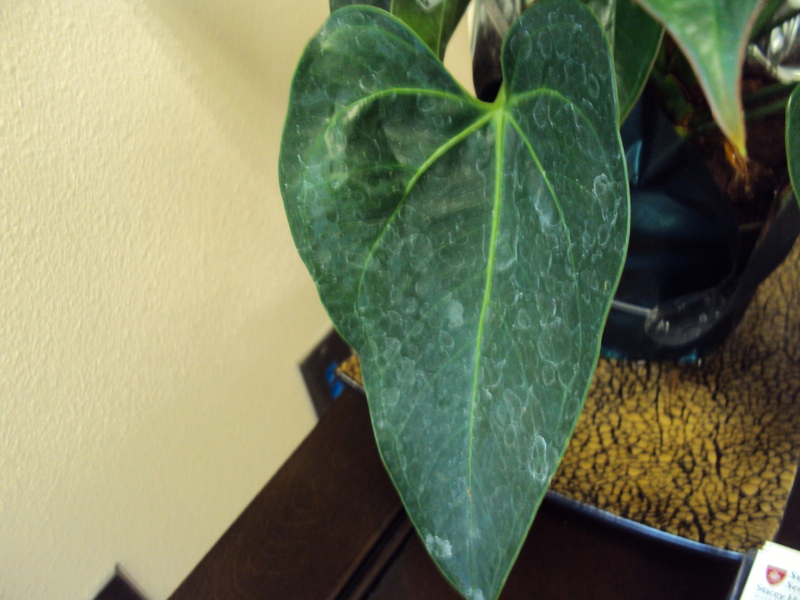 Those spots are never coming off that leaf. It’s ruined! So I cut it off. 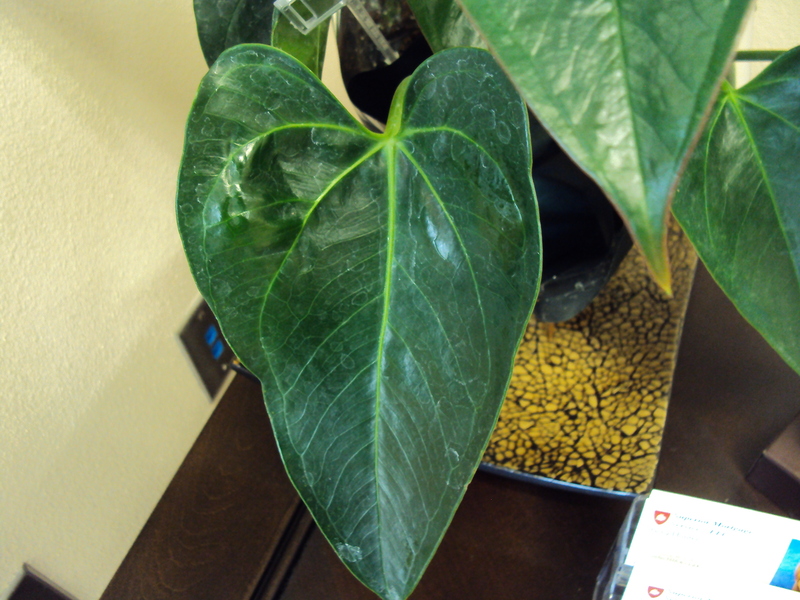 Cleaning dust and grime off leaves is important to the overall health of any houseplant. So what else should you use instead of leaf shine products to get a healthy glow to your plants? Lots of people recommend a mixture of a little milk and water. Milk? Are you kidding me? I’ve also heard banana peels work, a little potato or even mayonnaise. ALL OF THESE ARE RIDICULOUS! I don’t care if Grandma swears by it – don’t ever use food or food products to clean leaves, it’s stupid and unnecessary. There’s no point to it, and it seems certain to me that the milk or fruit would attract pests. Even if it doesn’t attract pests, it’s completely unnecessary. See how dusty these leaves are? 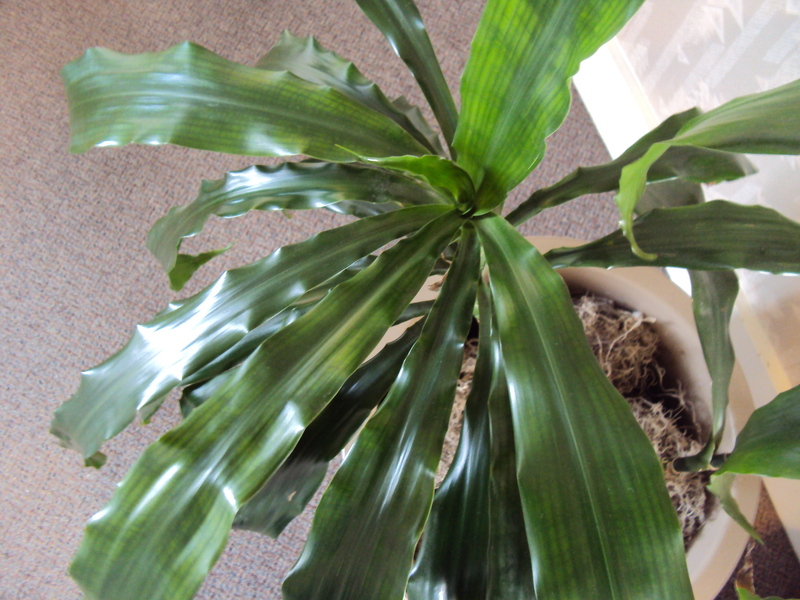 This is a Janet Craig (Dracaena deremensis). There’s no need to pull out milk and cotton balls or Q-tips. A dry cloth (and a gentle touch – you don’t want to hurt the leaves) is all you need. See? Shiny leaves just moments later. Now, that was gentle dust – a feather duster would’ve worked just fine, too. 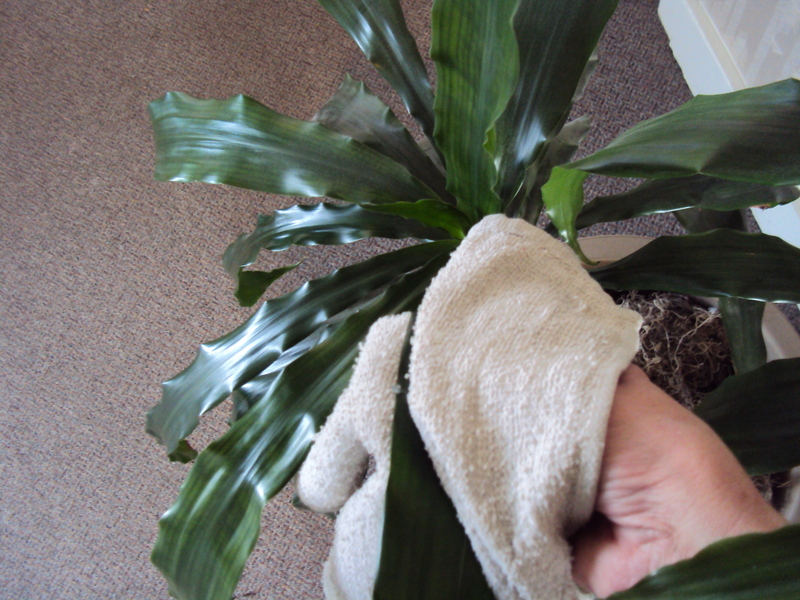 For plants in kitchens or places where they get a coat of grime underneath the dust, a dry cloth won’t work. But a wet one with a little bit of dish soap works great. For plants with lots of small leaves (therefore very labor intensive to dust), use the shower or bathtub, with lukewarm water. Maybe you’ve had great experiences with leaf shine products or mayo to shine the leaves of your plants. If so, I’d be interested to know. Or if you have a different remedy than a dry cloth, feather duster, or soap and water, I’d be interested to know that, too. Leave your comments if you wish. Until next time, happy indoor gardening everyone!